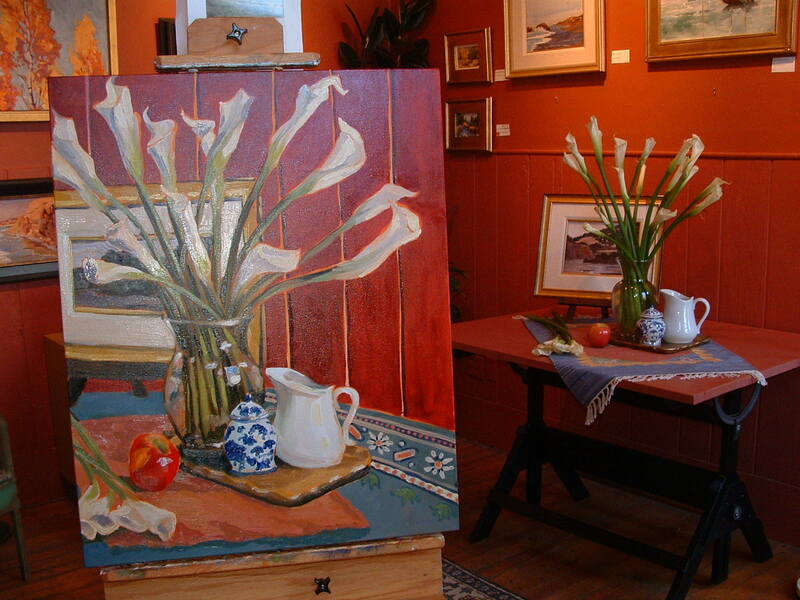 Still Life with Lilies in process….. 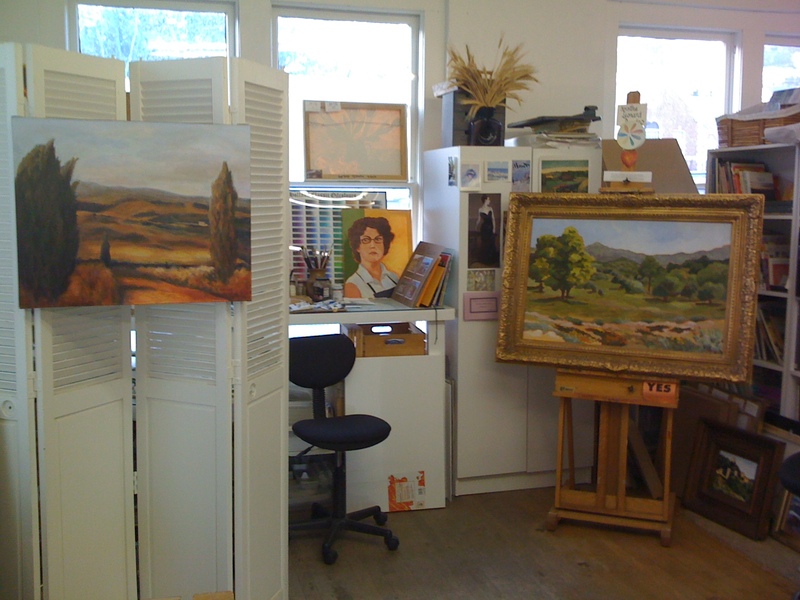 Lately have been missing my studio that I left behind in California to come to Israel….. 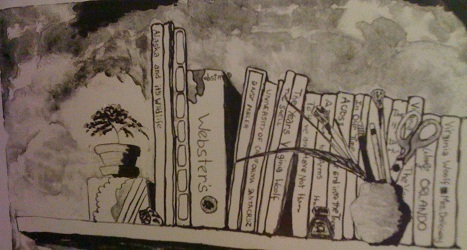 Thus the header here showing part of the interior, paintings, brushes…. This photo was taken on a tidy day! The screen at left is hiding the work area….ie: the messy side! 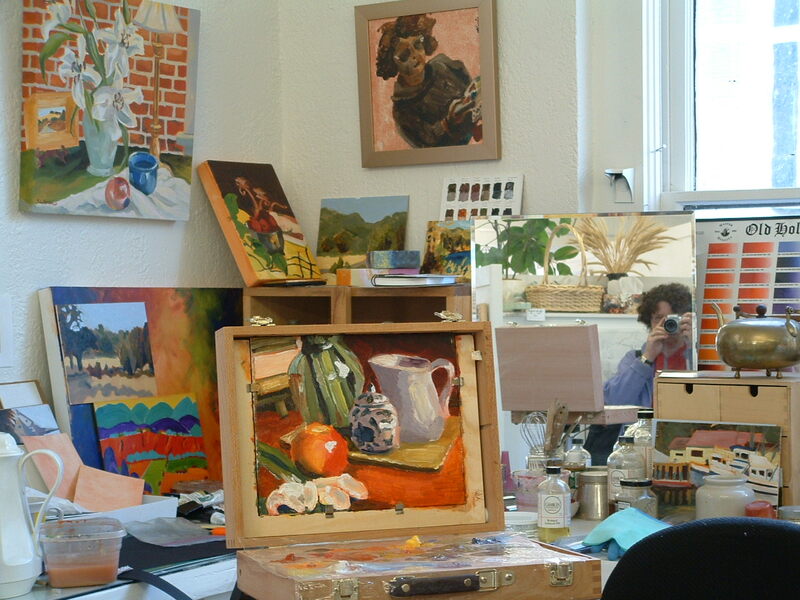 This picture shows the studio a little more realistically….. On the easel is a still life of white lilies. 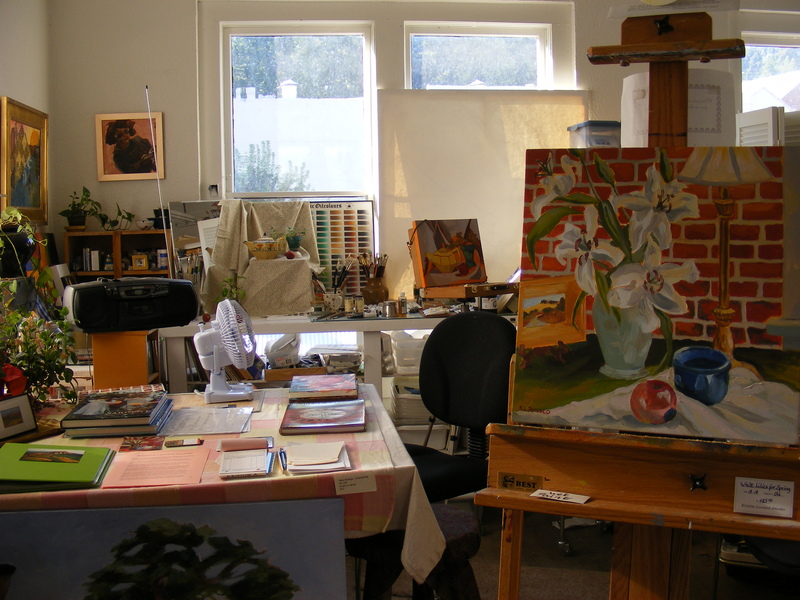 At the right is the left corner of the studio with 8×10 on my larger pochade box easel. 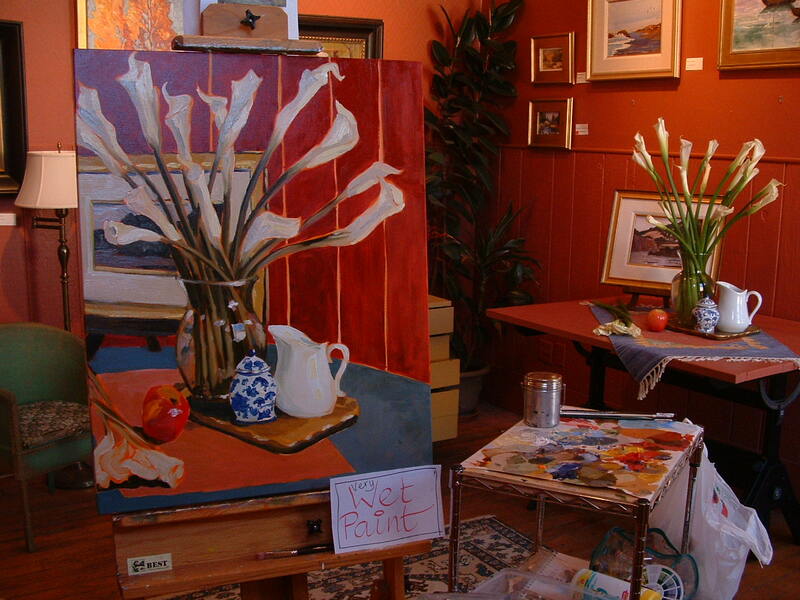 This painting had TWO buyers at the reception night..luckily one collector was there 10 minutes earlier than the other, so there was only a bit of friendly banter over her having gotten it first…..
White Arum Lilies still life set up in the gallery. Okay – that is pretty large for the page, but it shows the still life, the oil painting…before it was finished… as well as the gallery corner we were set up in. Painted this with a few friends – really cool to see how each of us had a different view, different style and medium. 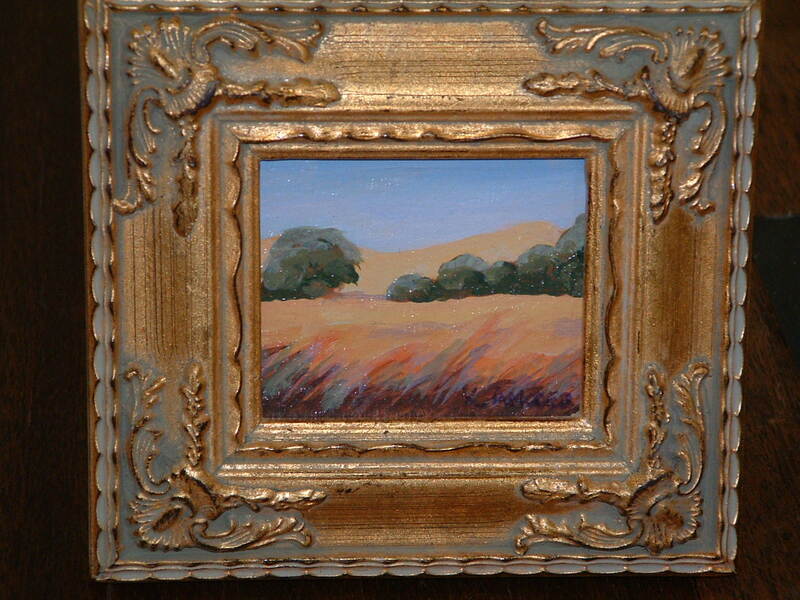 Painting Plein Air in Calaveras County, Calif. 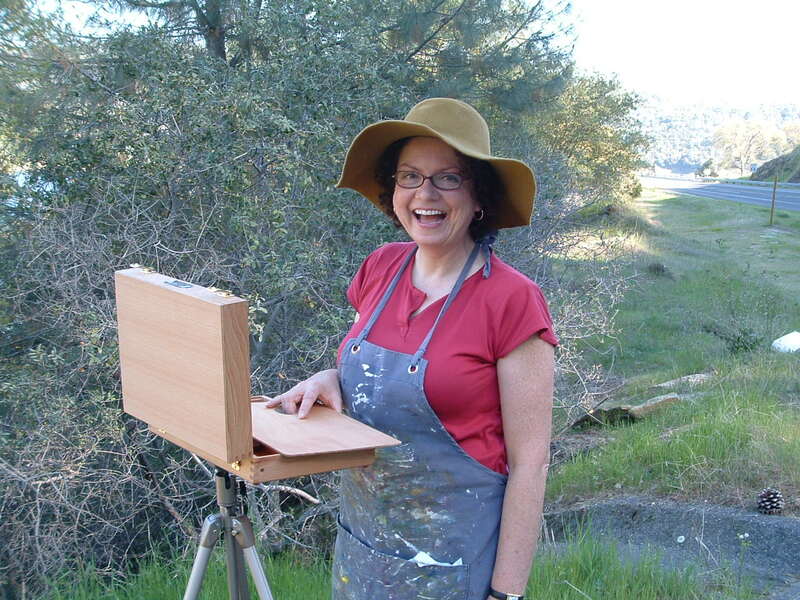 Okay – this is the first time I’ve shown this photo that Diane took of me while we were painting out at Melones Lake…. 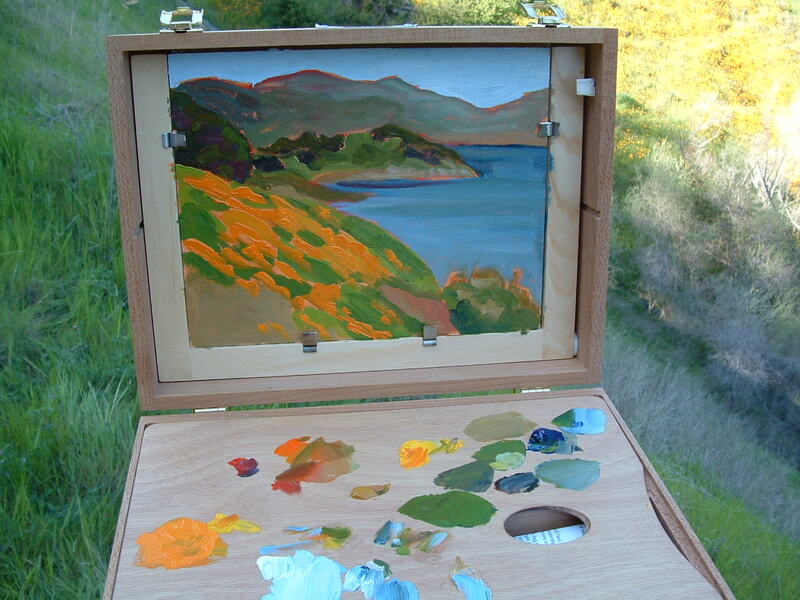 We were out there to get some small paintings of the California Poppies on the hillsides. We were on the border of Tuolumne and Calaveras Counties… the sides of the hills were COVERED in solid orange. It was an extraordinary year for poppies. Near the end of each year we would have a miniatures show and this was one done down in the valley below Tuolumne County outside the town of Oakdale. There were rolling hills instead of mountains….grassy meadows dotted with green oak trees.